The widest seat we offer. 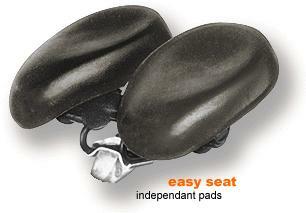 New softer pad seat to help relieve pressure. Extra-Support Gel 12" x 12" size. Coil Springs for added cushion. Almost 12" wide gel with an extra deep relief zone for groin, prostate & tailbone relief. 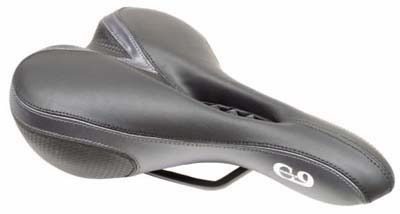 of this extra deep relief comfort seat? 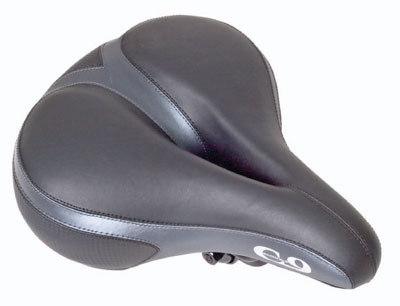 Or a sport version of the vented saddle? Our most popular!! Measures 11� wide and 11� long! Multi-stage gel comfort with center relief zone. 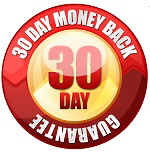 Relieves prostate pressure & has GEL padding. Softer than the Easyseat. 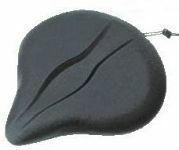 High density foam cushioning and center cut-out design help relieve pressure to the prostate. Physician endorsed design. Turn your bicycle into an exercise bike. 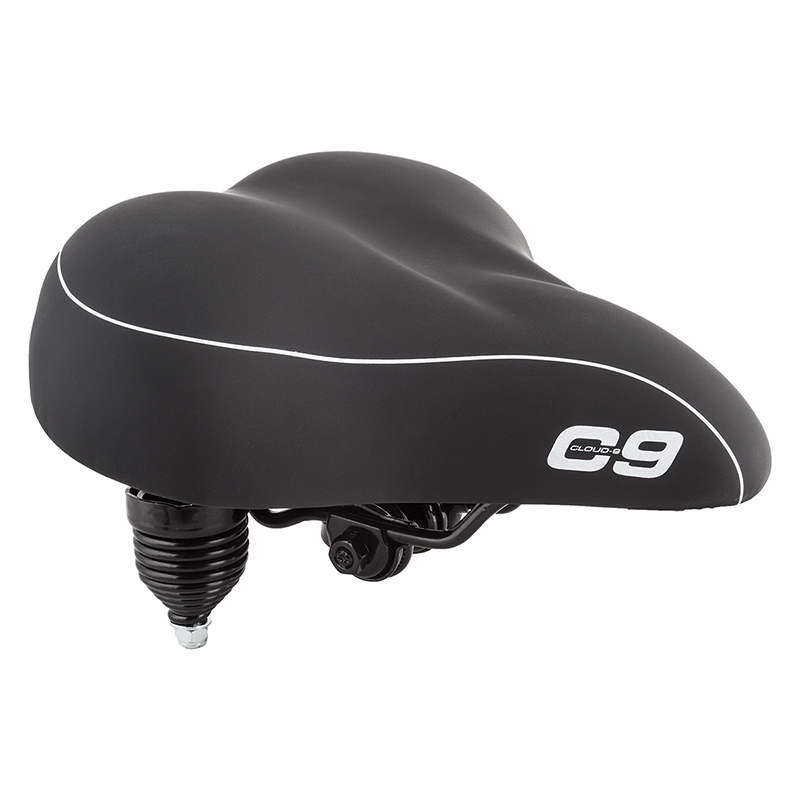 Looking for a bicycle seat with more Sport and Performance? We can get it. Let us know what you need. There are recent concerns about Americans getting enough exercise. Did you know that bicycling is a low impact exercise with great cardio-vascular benefits? 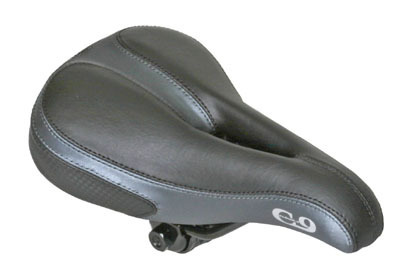 Our bicycle seats help relieve pain and numbness allowing you to get more exercise, more comfortably. Please see the growing list of information concerning these issues for men and women.